An event, or sequence of events, that causes unintended harm. The progression of events that results in an accident. In the context of this manual, ‘acquired item’ refers to a capability being procured through the acquisition process. It is intended to differentiate between the system being procured and the safety management system. The operations of an organization that are ‘large enough for meaningful examination and small enough to be sufficiently understood’. For example, vehicle maintenance. Regulatory Assurance - A statement, or process, intended to provide confidence to a regulatory body on the condition or status of a system, process, activity, or materiel through a regulation or approval regime. Safety Assurance - Part of Safety Management focused on providing confidence that adequate safety will be achieved and sustained. First Party Audit – An audit conducted by an organisation on the activities it has direct responsibilities for. Second Party Audit – An external audit by a body or organisation having an interest in the activity or process examined, e.g. a customer or client. Third Party Audit – An external audit by a recognised independent auditing organisation with no interest in the activity or process examined. Capability Performance Audit – An audit of a capability or equipment system to provide assurance that the performance objectives or targets of the capability are being achieved. Combined Audit – An audit the scope of which covers more than one management system operated by the organisation, or related to an activity, being examined. Compliance Audit – An audit to provide assurance that a process, activity, or materiel is carried out or achieved in such a manner as to achieve compliance with legal, policy or other requirements; i.e. the audit criteria are restricted to compliance issues within the scope of the audit. Joint Audit – An audit conducted by two or more auditing organisations. Management System Audit – An audit the scope of which includes the process and procedures making up the whole or part of a formalised management system. 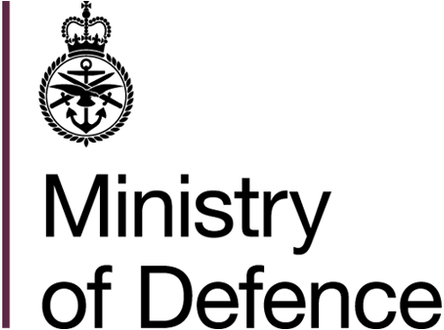 Supplier Audit (pre contract) – An audit conducted pre-award of a contract to provide assurance evidence that a supplier has management systems in place which can or do comply with MOD requirements. Supplier Audit (post contract) – An audit of a supplier post award of contract to provide assurance that the goods or services being provided, or that a supplier’s management systems, are in conformance with MOD requirements. The person/project/IPT/organisation requesting the audit. Set of policies, procedures or requirements against which a system process or material is audited. Description of the activities and arrangements for an audit. In relation to DE&S Acquisition Safety Environmental Management Standard (ASEMS) the audit manual together with the Audit Schedule forms an Audit Programme. The written report supplied by the Lead Auditor to the Audit Client describing the audit, findings and conclusions. Specifies the scope, frequency and timeframe for completing audits. Extent and boundaries of an audit. Team of auditors, including a lead auditor, conducting an audit. May also include specialist matter experts (see SMEs) and trainee auditors. Series of linked and related questions asked, and the evidence produced, in order to ascertain compliance against a specific objective or to support the accuracy of data or claims. The questions and evidence making up an audit trail should be documented and the trail should be repeatable. Person with the competence to conduct an audit. (see also Lead Auditor). The ability of an item to be in a state to perform a required function under given conditions at a given instant of time or over a given time interval assuming that the required external resources are provided.